The Department of Buildings requires contractors to become registered if they are doing anything but minor alterations. To determine whether or not the work needs a permit is covered in our article – Do I need a DOB permit? These should be considered guidelines, and not definitive rules, as laws are changing, and permit regulations vary by borough and examiner. Who needs a Contractor Registration? We recommend every general contractor to get at least a tracking number. This enables them to pull permits and keep insurance on file at the DOB. There are several types of contractor registrations at the DOB, with each corresponding to contractor’s work. This type of registration is typically used for contractors working 1, 2 and/or 3 family homes. 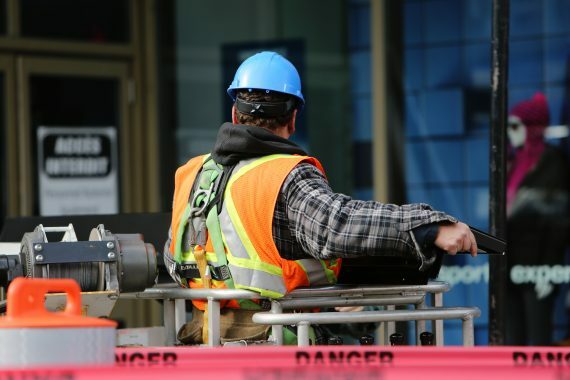 Safety registration is the most capable contractor license issued by the NYC DOB. This requires the most documentation, but enables contractors to work on the largest projects. Companies like STV, Turner construction, and Sordoni Skanska have safety registrations to construct new buildings and pour more than 2,000 cu yd of concrete. Depending on the type of work the contractor does, they may require certain designations. The following are the most important designations. This endorsement allows the entity to do any full or partial demolition work mentioned above. This endorsement allows the entity to place concrete in a building or building site in connection with excavations, foundations or superstructures, including but not limited to the placement of concrete in steel structures, where the concrete portion of the project involves the pouring of 2,000 cubic yards of concrete or more. This endorsement allows the entity to do any construction work listed above that does not involve demolition or concrete work. Contractor registration at the NYC DOB may take from hours to months depending on the type. All forms may be prepared before hand, but many come into the DOB without them and may need to come back in order to finish registration. The simplest registrations may be completed in one day, while other types with special endorsements may take much longer. Having Problems Registering at the NYC DOB? Problems may occur during registration, whether it be a lack of forms, or a disprencary in the paperwork. Direct Access Expediting offers consulting services to act as a liasion between the NYC DOB and the contractor. We will prepare forms to the best of our ability, work with brokers to prepare insurance certificates and accompany you at DOB visits. Ensuring things will run as smoothly as possible. If this is something you’re interested in, please visit the contact page and give us a call or email us. We’ll be more than happy to help you register as a general contractor at the NYC DOB. Posted in DOB and tagged DOB, General Contractor, license, registration, safety registration, tracking number.